Nintendo Switch for every team member (up to 4). Awarded for the best use of the StdLib API. $500 in indico Machine Learning API credit per winning team member. Awarded for the best use of the Indico Machine Learning API. Free 1 year subscription to Sketch App for each team member. Awarded to project with best UI design. One year subscription to Wolfram (One Personal Edition). Awarded to the top 3 teams for best use of Wolfram API. Awarded $100 in Ritual credit for the winning team (must have Ritual account to redeem). Each member of the team who makes project with the Best project/hack relating to Blockchain (in ANY way!) will receive $100 in ether! The best project/hack that is hosted on a .tech domain will receive $250 in Amazon Vouchers! Engineering isn’t all trains, bridges, and matrix multiplication. It’s creating and innovating for the better. 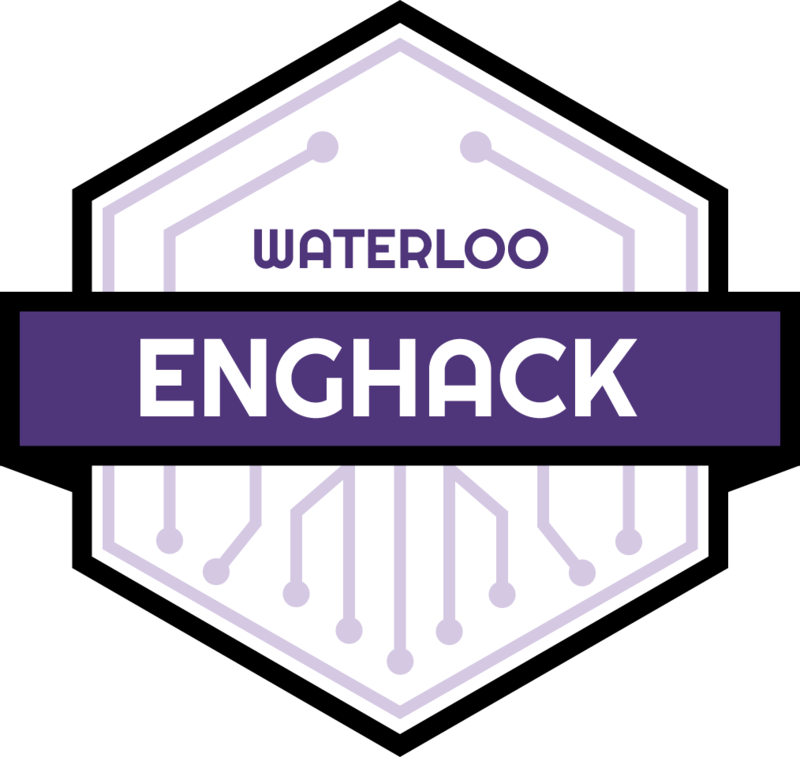 You don’t even need to be an engineer to come make cool things at EngHack! We have mentors, leading industry professionals, a locker full of supplies, and tables of food to serve so that your idea can come to life. We want you to be immersed with like-minded and creative people so you can focus on building something amazing, You could also have the chance to present it to an audience to win some pretty awesome prizes. If you consider yourself a creator, join us on May 25-26 for 24 hours of ideation and invention. We invite any student over 18 to apply to be part of this engaging event. Oh, and did we mention, we’ve got food too! Individuals (over 18) in up to groups of 4. Weight: 50% This includes the tools and frameworks used, and the technical difficulty of building your project. Be sure to describe any challenges you faced and how you learned or overcame them! +5% . AKA Does it work the way you say it works! ?